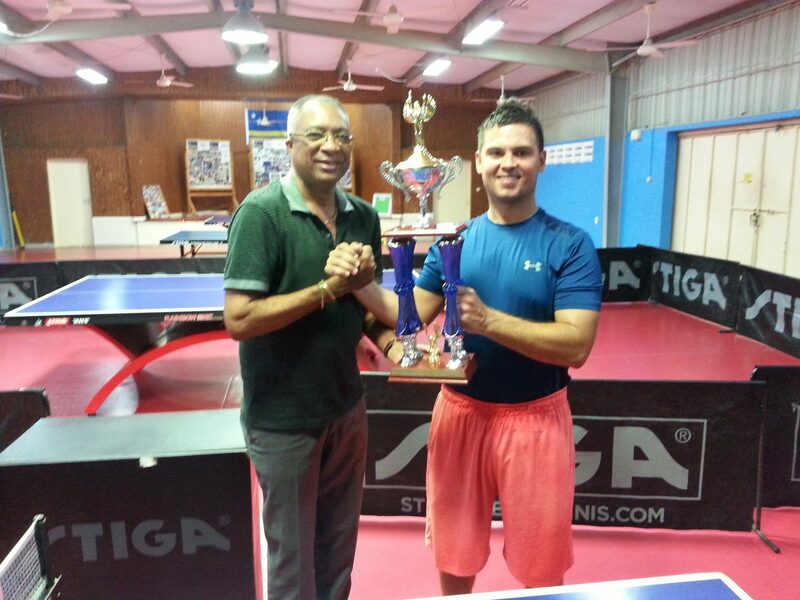 Tuesday February 6th, The Curacao Table Tennis Federation started with the first event on her calendar 2018. As it has been a tradition the last 5 years, the DONIC championship opens the year in the category Senior Single Open, valid for the ranking as well. The amount of participants was 22 and could not be played in a group system, as the players prefer this system above the knock-out system. The last one may would mean playing only one match for some of them. By the other hand group system would too much time of the night before you reach the final. A compromise for playing 22 participants would be the option to start with a group of 10 players in a knock-out system designed in a such way that you get 4 winners out from it. These 4 winners together with the other 12 players form a 4 groups of 4 players. The best 2 of each group will continue then to the quarter finals. These preliminary rounds played, with among of them some very tight matches, the following players reached the semi finals after winning their matches in the quarter finals: Dimitri Leon, Devon Meilink, Henny Metry and Peter Wong. Devon against Peter was an easy one for Devon with the final score of 3-0. In the other semi final match Dimitri had to fight his way out as Henny was in good shape. Dimitri won finally 3-2. The final game was Dimitri, the current national champion against Devon the former champion of 2015. Dimitri was determined to have a good start in 2018 and won the DONIC championship 4-2 (11-6 / 11-6 / 6-11 / 7-11 / 11-7 / 11-8 ).